Our high-quality grained leather is especially smooth and convinces thanks to its unique, grained structur. We cut, handle and sew our carefully selected, high-quality leather by hand to ensure the perfect fitting. In the production of our cases we proceed with precision and finesse. 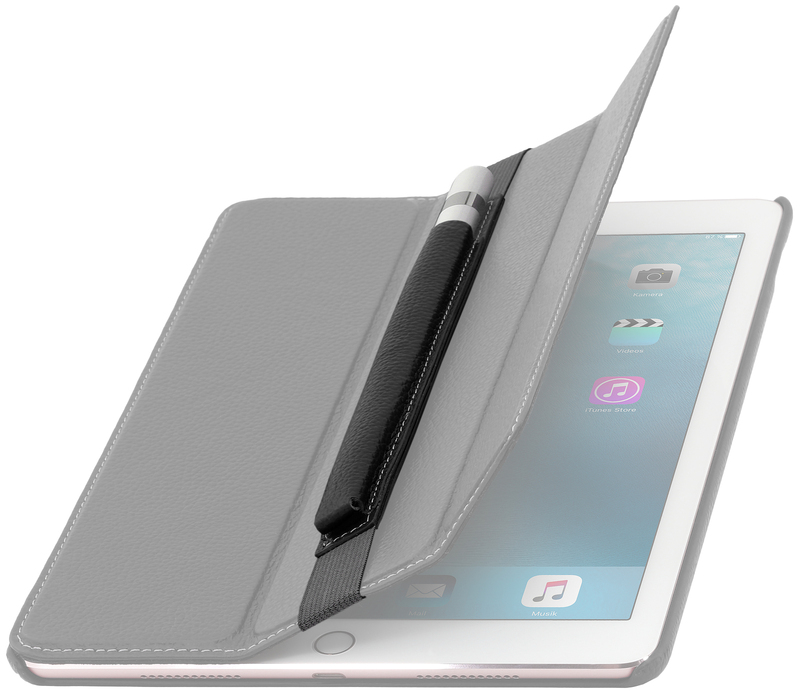 Are you the happy owner of an iPad Pro, safely protected by a StilGut iPad Pro 9.7“Couverture case for example? However, your Apple Pencil has not found its place yet and you are looking for a way to lodge safely and elegantly your stylus? The StilGut leather Pencil-holder is the perfect complement for your case: thanks to the pen case, the Pencil is safely held, while remaining within reach. 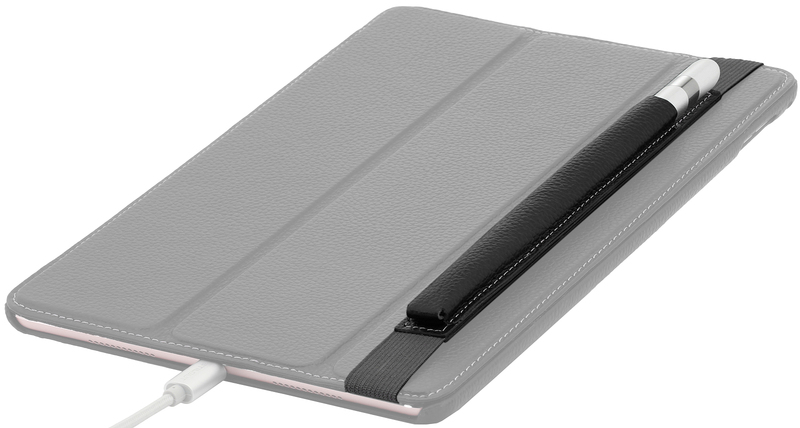 Additionally, the elastic band keeps your case safely closed, insuring a reinforced protection of your iPad. 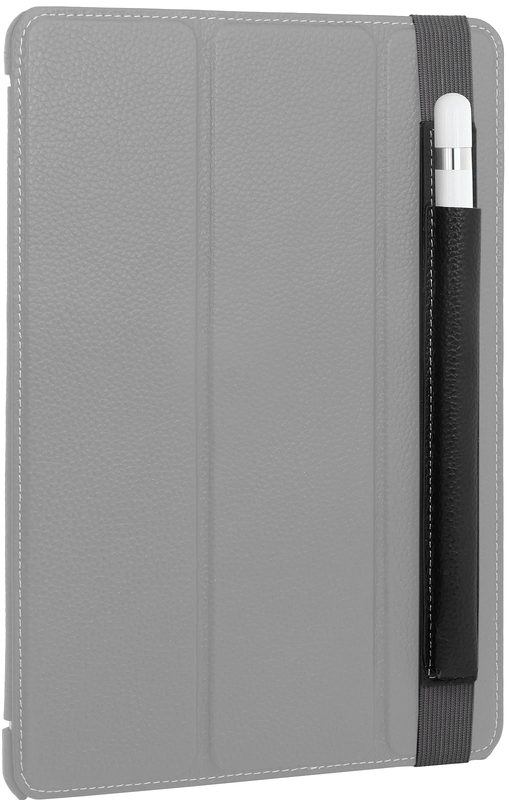 The elegant pen case is well-matched with the Couverture case and available in other colours as well. + StilGut Pencil-holder in high quality real leather, handmade and precisely manufactured for the Apple stylus. 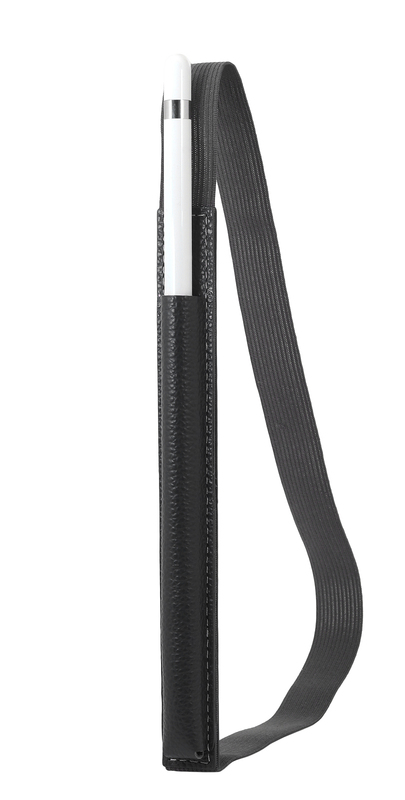 + Made-to-measure protection for the Apple Pencil. + The practical rubber band fastens safely and discreetly the Pencil holder as well as the iPad Pro 9.7“case. + The simple and noble style, as well as the precise details perfect the StilGut exclusive design. Customer evaluation for "StilGut - iPad Pro 9.7" Pencil holder in leather"